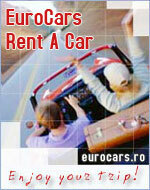 The Romanian Hotels offers cheap accommodation. Within 20 min walking distance from the Otopeni International Airport and 10 min from the center of Bucharest, 3 star Caro Hotel lies in a pleasant district, on the shores of Tei lake. Ibis Hotel in Bucharest, one of the newest in town, is located 500 m from the central railway station (Gara de Nord), the subway station being in front of the hotel. Duke Hotel, opened in 2002 to be a Bed & Breakfast boutique hotel in Bucharest, surprisingly less luxurious, provides professional travel services and accommodation in Romania. Bucharest Capitol Hotel is a fair 3 stars hotel located in the heart of the city, very close to University Square, shopping areas, museums, cafes and other city highlights. Appointed in the area of Charles de Gaulle Square, Casa Victor Hotel offers access to the center of the Bucharest. Low prices offer villa accommodation for rent short. Ideally appointed, whether for business or pleasure, in the heart of the Romania's Capital, Bucharest Hotel Central is the perfect place for the clients who join work with quality relaxation. Conveniently appointed in Bucharest, 900 m walking distance from Capital's 0 km and 500 m from Chamber of Commerce and Industries, Dalin Hotel provides travel services. Located in the heart of the city, Astoria Hotel is the tourist jewel of Iasi, the Moldavia Capital. Lovely 3 star hotel is one of the little left historical buildings in Iasi, architectural monuments. An intimate hotel, in the center of Bucharest but still far from the noise and crowd of the Capital, assures its guests cheap accommodation in Bucharest and affordable travel services. Modern design, highest 3 star comfort and quality standards, providing a classical, intimate look and access to the city, Bucharest Dan Hotel is the ideal lodging unit where tourists always come back. Located in the heart of Bucharest, close to Victoria Square - Government, Bucharest Lev Or Hotel is perfect for discovering fancy places: Victoriei Avenue, Government Palace, Orhideea Mall. Conveniently located in the center of Bucharest, modern building, Casa Locato Hotel benefit of easy access to airport, banks, first class restaurants, beauty saloons, parks. Located in the east part of Bucharest, in the commercial area Bucur-Obor, being a 3 stars hotel, Citadella Hotel offers serenity and relaxation, discretion and best quality services. Scolii Street is one of the most well preserved medieval location in exquisite Sighisoara city, Sighisoara Hotel still guards Gothic or Renaissance architecture and cellars. A hotel full of light, even so, familiar and comfortable, Hotel Bristol sets value on hospitality and well-being in Bucharest, successfully trying to satisfy even the most exquisite tastes. At 3 km away from the city center of Sibiu you can find the Ana Hotel, a new, modern hotel that has all the facilities needed, with an unique design and precious architecture. Placed in the well-known bathing place and climatic resort Ocna Sugatag, Salina Hotel offers the ideal conditions for accommodation and restaurant, at the highest standards. Located precisely in the commercial and business center of Ploiesti, Central Hotel in Ploiesti awaits its special guests with a wide range of travel services and cozy accommodation. Hotel Roberts is situated near the historic center and hotel and motto says: your house when you're away from home! New accommodation center decorated Art Decor. Located in downtown Tulcea, close to tourist attractions, Egreta Hotel is the ideal place to spend an unforgettable stay with friends or family. Hotel Eden is located in downtown Iasi, near the National Theatre "Vasile Alecsandri" is ideal for relaxation and comfort for those who cross the threshold. Ramada Iasi City Center located just 15 minutes from the airport, ideal place for those eager to discover the city of seven hills and for those coming for business. Located in a quiet area of town, away from busy life, Majestic Hotel & Spa is the perfect choice for an unforgettable and 5 minutes from Iasi Metropolitan Cathedral. Z Executive Boutique Hotel, located between University Square and Sutu Palace, harmonizes heart of Bucharest the other day, an ideal place for businessmen and tourists. Being located in a residential area and just 15 minutes from downtown, Hotel Rubin is where relaxation and comfort are the most important objectives. Premier Hotel is located close to major tourist attractions in Sibiu, the perfect location whether you are a tourist or you are in town for business. The building of the hotel is a historical monument. It is located in the administrative, political and commercial centre of Bucharest, 20 minutes away from the Otopeni Airport. Modern layout, cozy and stylish, the Roberto Hotel in Sinaia is classified at international hotel standards, each of its guests is pleased with the lodging services and luxury facilities. 3 star Amadeo Hotel is one the newest and nicest hotels in Iasi, conveniently located at 7 minutes from the main airport of Moldova and 10 minutes from the historical center of Iasi. Located in a residential quarter 10 minutes walk from the historic centre of Sighisoara town, Rex Hotel is a very pleasant hotel offering a professional service in a great atmosphere. A new accommodation unit in Poiana Brasov, Royal Hotel is part of those cheap hotels in Poiana, with modern amenities and professional staff, up to date equipped to meet all needs. Tourist Complex Europa 2000 (comprising 3 star hotel and 3 star guest house) lies at 7 km away from Sighisoara, well known as "Transylvania Pearl". Located near the main train station in Bucharest, with direct access to all the areas of the city, Andy Hotel is the perfect accommodation choice for both business and leisure travellers. Bucharest Otopeni Confort Hotel located on National Road 1, close to International Otopeni Airport provides for its guests more than 150 accommodation places and business facilities. Bucharest Herastrau Tourist Complex guarantees successful events if organized here. Herastrau Hotel, recently restored, offers accommodation in Bucharest in its 68 accommodation places. Antheus Hotel, conveniently located in the center of Bucharest, is close to Victoriei Government Palace, only 5 minutes from Gara de Nord Station and 25 minutes from Otopeni International Airport. Located in a new building, Bucharest Elizeu Hotel offers modern facilities, for the guests to find here an ideal place to stay, close to Bucharest city center but far from the crowded and noisy areas . Confort Traian Hotel in Bucharest is located in the center of Romania Capital, 5 minutes driving away from Unirii Plazza. The hotel includes 90 rooms, an international restaurant and a bar. Tiny Club Hotel is located in the center of Bucharest, minutes away from main attractions of the Capital. Cozy and intimate, the hotel offers the advantages for great lodging in Bucharest. Helvetia Hotel in Bucharest is the first privately built hotel in Romania after 1989 Revolution. The hotel is famous for high standard accommodation and personal attendance. For an interesting weekend or for a longer staying in the way to your vacation in Romania, Ibis Hotel in Bucharest turns into the suitable choice for a fair price and comfortable lodging. Situated in the residential area of Primaverii, Green Forum Hotel welcomes you in Bucharest weather for business or leisure. It offers 3 star services at international standards. The Johann Strauss Hotel invites you to spend your spare time in an attractive environment with high quality services, in the north area of Romania's capital city, Bucharest. Ranked with 2 hotel stars, but offering four star-services, Dacia Hotel in Bucharest located in the center of Bucharest - Romania, is the right business-class hosting choice for you. The Marami Hotel offers all the modern comforts expected of a new hotel along with beauty, tranquillity and traditional Romanian charm, in the exquisite atmosphere of Sinaia. Bastion Hotel Tourist Complex in Sinaia opened at the end of 2005, gaining in the meantime a position in travelers' preferences due to vacations, successful business or relaxing weekends. The Moldova Hotel is centrally located in Iasi. Close to it there are some outstanding memorials: The Church St. Nicholas Princely, The Palace of Culture, The Dosoftei House. Built in Tirolese architectural style, Tirol Hotel in Poiana Brasov, well known mountain resort in Romania, won the "Exellence in Tourism" prize by Romanian Authority of Tourism. The 3-star Continental Hotel in Turnu Severin is located in the center of city, nearby the tourist�s harbour, in a special surrounding as the Danube Strait, with nice view to the river. Located in the Capital Fortress of the �Upper Country� - Suceava, the Continental Hotel is the right place for banquets, special events and the start point for interesting trips. Sinaia Hotel is well known in Sinaia for cheap mountain accommodation, as well as, additional travel services: 3 star conference hall, Internet and games center, beauty center. Placed near the economic and historical center of Baia Mare, Rivulus Hotel offers wide range of quality travel services, being a right accommodation in Romania in lovely Maramures. Claudiu Hotel in Sighisoara is located in an old town villa built in 1635, being one of the most beautiful hotels in Sighisoara for combining old frames with modern furniture and devices. Belvedere Hotel is one of the hotels in Braila where tourists always come with the feeling of being pampered, enjoying cheap accommodation in Romania, quality lodging services. Recently reopen, Greweln Inn Hotel is rendered again to host parties, entertain children or supply travel or accommodation services, between Sibiu and Sighisoara, in Medias. Continental Portile de Fier Resort is successfully part of Continental Hotels in Romania, though a motel, it will surely impress for its amenities: pool, tennis field and internet access.